For a couple of years I had been communicating with Al, heard lots of stories about him and heard about much of his work. In fifteen years he has recorded the good news about Jesus Christ in over ninety different languages and dialects - almost singlehandedly. So I felt very privileged to travel to Yangon, Myanmar in November and be greeted at the airport by our team: Al, David and Naing Oo. They proved wonderful company over the following days as I got to know them, learn about their work and understand something of their country and culture. Al has been a most productive recordist and an amazing steward of the resources sent his way. The office is well equipped with all they need and they have the funds available to record and distribute those recordings as the opportunities arise. While on a trip to a village our driver told me that the Christians do not give to the church. We visited the pastor of the village church who lives in a very grand house. Other Burmese missionaries connected to Western organisations also live in very nice brick homes with concreted outdoor areas. The local people largely lived in small dwellings made of bush materials. I instantly understood why people in the churches do not give - obviously Christian leaders are rich! As rich western Christians we must be very careful with our wealth as it can cause problems we could never imagine. The "prosperity doctrine" is impacting ministry. Young people are likely to go to Bible College with the idea that God will bless them in ministry and they will also get to live in grand houses. If this doesn't happen they may wonder what they have done wrong because God is not blessing them. One challenge Al has faced is in finding a young person who catches the vision of GRN and is willing to commit to the ministry long term. I suspect that the "prosperity doctrine" is adding to this problem. As Al would like to retire one day, finding his replacement has become a priority. 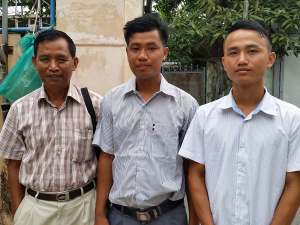 Please pray for David and Naing Oo that they would be certain that God has called them to GRN and that they would be content to serve Him in this ministry. David has served with GRN for two years, has undertaken some basic recordist training and is enjoying recording and doing a good job. He is married with two sons and a baby on the way. 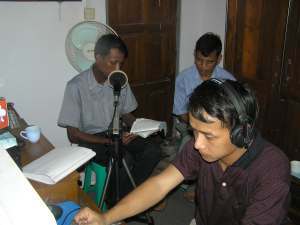 Naing Oo has served for nearly six months and has been working at distributing recordings. He is a young single man who too hopes to become a recordist. I saw firsthand the monks walking around the market, praying their blessing over the businesses while others collected food from different places. People were collecting money in silver bowls and placing it on boards, and making trees of household goods. These were gifts to be delivered with much noise and fanfare to the temples. Our team spoke of persecution as they go out to record coming especially from monks. In the cities they are safe, but in remote communities it is a different story. 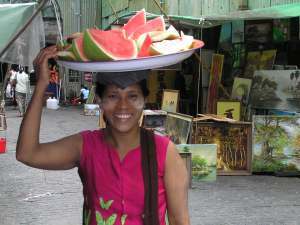 They have recorded at midnight as language helpers have been afraid of being attacked by those opposed to the Gospel. When you consider that the monks depend on the community for their living, it is understandable that they feel threatened by the coming of God's word. Another challenge they face is travelling. The roads are very poor so travel is often very slow and very uncomfortable. Al is thankful for his two young assistants as his arthritis now makes these long, arduous journeys difficult. For the right choice of a successor for Al, at the right time. 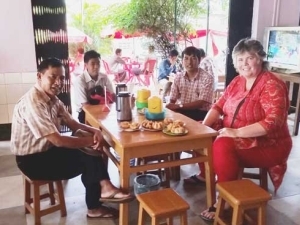 For David and Naing Oo, that they would be certain that God has called them to GRN and that they would be content to serve Him in this ministry. 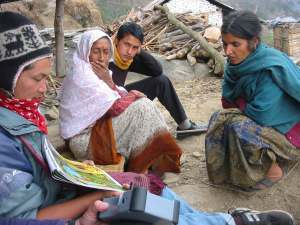 For safety from persecution and while travelling, especially when they record in remote communities. For opportunities to produce recordings for the 30 to 50 languages which still need recordings produced.